The PGA Tour season will be gearing up again after a short, winter break. We expect the action to resume just after the New Year, in Hawaii, with the Tournament of Champions. From there, it will move on to other states, including but not limited to California, Arizona, Florida, Georgia, Texas and South Carolina. The season will eventually end several months later, in the fall of 2017. As such, better get those pop up tents now. 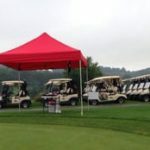 Pop up tents are perfect for golf tour vendors and spectators alike. Suitable for use on all types of golf course surfaces, they set up and break down quickly. 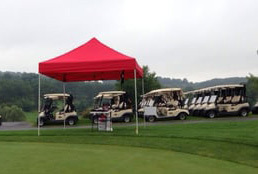 Plus, pop up tents come in colors that mesh well with popular, pro golfing brands. 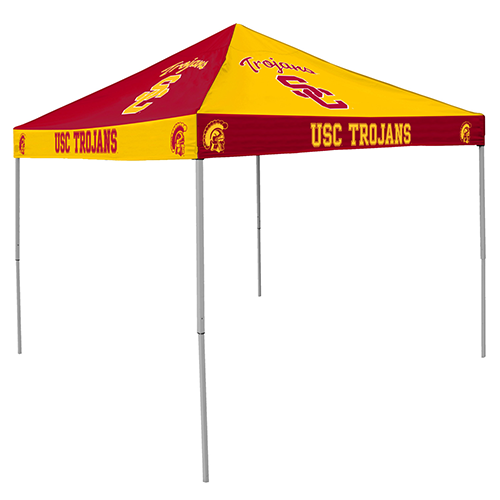 And in some cases, we can add brand logos or golfers names to the pop up tents durable fabrics. In those instances, buyers may need to prove that they have the right to use the brands logo or the golfers likeness. For example, golf fans expect Rory McLlroy, Brian Gay, Graham DeLaet and Billy Horschel to sport bright colors. Miguel Angel Jimenez and others tend to waiver between that and the traditional. 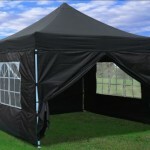 So, wed suggest checking out our collection of Caravan Display Shade Tents. They come in an impressive array of 10+ colors and boast total UV protection. Within the 10+ color palate are bold reds, yellows and blues that match the shirts sometimes worn by many of the pro golfers weve already mentioned. The colorful pop-ups also resist fire, water and wind shear damage. Accordingly, you can expect them to come with a limited warranty that will last carry you through at least through two more golf seasons. To learn more about Caravan Display Shade Tents and the others suitable for golf course use, please contact us now. We may be able to have one to you before North Americas golf tournament season resumes. This entry was posted in pop up canopies, pop up tents and tagged pop up canopies, pop up tents on December 29, 2016 by Canopies Tarps. Unveil a New Application " Why not use the annual holiday to unveil a new application for peoples mobile devices? Mobile remains hot and apps, believe it or not, can help get them outdoors. For example, it could highlight the outdoor items your business has for sale and explain how to utilize them in any given situation. Cell phone guided tour apps, direction, fitness and history apps all have their place in Great Outdoors Month celebrations too. To celebrate the apps unveiling, just set up an instant canopy and give onsite demonstrations. Host a Refreshment Stand " If apps arent your thing, you could always set up refreshment stands at recreation sites near the store. Theyre a great way to lure people over to your sales staff. Plus, it offers opportunities to raise funds for conservation related charities or reward people who help clean up local parks. Of course if you choose to open a stand, investing in a 10 x 10 food tent with mesh walls is your best bet. Offer Opportunities to Play Games of Chance " Finally, you could put up a pop up tent and invite people to play games of chance. The games could be outdoor themed. Winners could receive recycled water bottles and other eco-friendly, recreational related goodies. 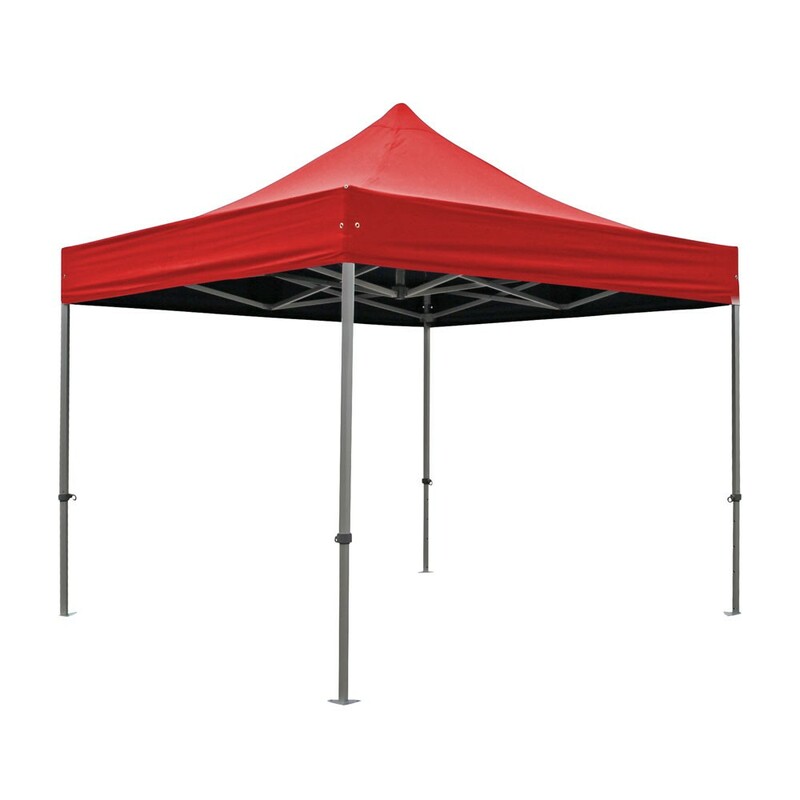 Any pop up tent would be suitable for a game station but we prefer the instant carnival canopy with colorful, striped skirting. To learn more, please contact us. This entry was posted in pop up canopies, pop up tents and tagged pop up canopies, pop up tents on August 3, 2016 by Canopies Tarps. Back in the olden days, children would beg their parents for an old card table, two chairs, pop up tents and a pitcher of lemonade. Then theyd set it all up in their front lawn in hopes of selling cold drinks to the neighbors. It was a time-honored tradition that taught them a lot about the value of hard work and the complexities of business. So why not encourage your kids to do something similar this June? It happens to be National Iced Tea Month. As such, you could introduce the little ones to the pleasures and science behind making sun tea. Most discount stores sell plastic, sun tea containers with built-in spigots for less than $5 each. And theyve likely got tagless tea bags in stock for less than $2 bucks a box too. As for the sugar, wed recommend the kids have that on the side. That way, their ice tea stand patrons can sweeten their drinks as desired. The pop-up tents will help the kids ice tea stands get noticed. Plus, theyll offer much-needed shade to both the kids and the sun tea containers. So you may end up saving on ice and extra sunscreen. And yes, the pop-up tents frame is strong enough to support signage. Therefore, feel free to let the kids use poster board to advertise their ice tea stands hours of operation and prices. Being we live in the digital, internet age, encourage the kids to snap a picture of their ice tea tent as well. The picture could be shared online to drum up support from the neighbors and other ice tea fans that may be in the area during the month of June. In addition, theyll provide a keepsake to mark the kids attempts at becoming ice tea moguls for the month. To learn more and pick out pop-up tent before National Iced Tea Month arrives, please contact us. This entry was posted in pop up tents and tagged pop up canopies, pop up tents on July 11, 2016 by Canopies Tarps. Does your business require either you or your inventory to remain outside? Do you usually end the season as soon as it starts getting a bit chilly outside? Then you might be interested to know that you can realistically extend your business season this year by investing in a pop up tent or two. One of the greatest things about pop up tents is that they’re so great at keeping out the cold. Thus, by owning one, you’ll be able to keep yourself much warmer while selling stuff outside. Also, with your inventory sitting in the pop up tent, your prospective buyers will be much more likely to come by to see what you have to sell. That is because they know they won’t be exposed to much bitter coldness with your pop up tent there to shield them from most of the unpleasantness of winter. 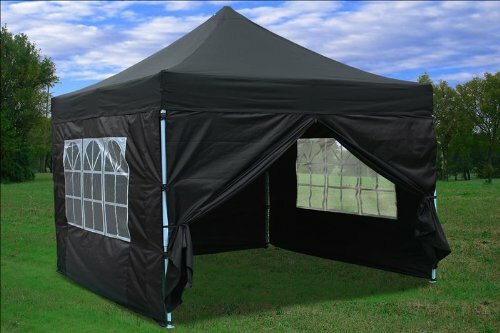 If you’re using the pop up tent for business, then it won’t be long before the pop up tent pretty much pays for itself. By enabling you to extend your business season, you’ll be able to sell a whole lot more of whatever it is that you’re trying to sell. Also, not only will the pop up tent serve to keep out the cold, but it can also keep out the rain as well. Therefore, you’ll be able to stay open for business on the rainy days, earning you even more money in the process. Contact us to learn more about our pop up tents today. This entry was posted in pop up canopies, pop up tents and tagged pop up canopies, pop up tents on January 14, 2016 by Canopies Tarps. The final month or two of warm weather is always really enjoyable. Everyone tries to really soak in all of the summer joy that is left, as the final days of summer slip away. Like all summers, this one has passed far too quickly. Hopefully you have been able to make the most of it. The summer may provide exciting business opportunities for you too. One of the best summer marketing events is the local farmer’s market. Farmer’s market’s have been growing in popularity all over the country as more and more people express interest in eating locally sourced food. They love being able to purchase produce from farmer’s markets, and enjoy the natural, healthy alternative to buying food at the grocery store that may have been shipped in from other countries. 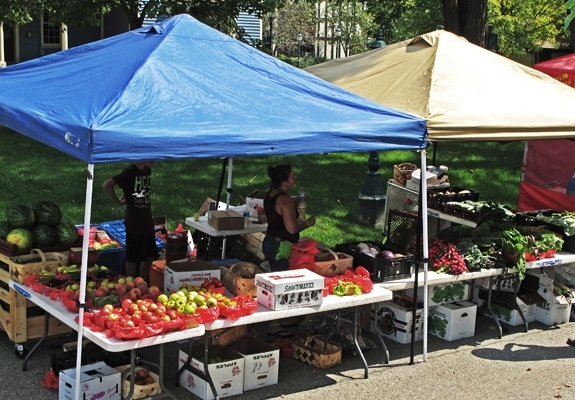 Almost every area has a farmer’s market of some kind, and some communities have multiple farmer’s markets. 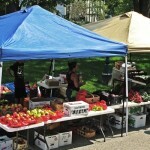 You don’t have to just grow fruits or vegetable to participate in the market. Many farmer’s markets open themselves up to vendors of locally crafted good of many varieties, and some are even more liberal in the kinds of vendors they will accept. Look into your local farmer’s market to see if they would be interested in a business like yours participating in the market. Remember that pop up tents are an important part of your market presentation. 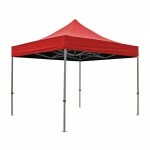 They offer shade to you and your customers, and help protect your products from the intense rays of the sun. They also offer rain protection. For more information on quality pop up tents that are made to last, please contact us. This entry was posted in pop up tents and tagged pop up canopies, pop up tents on August 19, 2015 by CanopiesAnd Tarps. In the 1980’s, Greek life was romanticized in movies but that isnt so much the case nowadays. This year, people are taking a harder look at what Greek life entails and whether or not its something worth promoting. Just take a look at the June 2015 online edition of Bloomberg Business and youll see what we mean. That said, sororities and fraternities should consider putting up the pop up tents and launching a PR campaign before the 2015/2016 Freshman Rush Season begins. Parents, their children, education leaders and others need to be reminded of the benefits that come from being a part of Greek life. Standing under pop-up tents and handing out copies of two different USA Today articles highlighting those benefits is one way to start the conversation. One article appeared in 2012 and the other was published in 2014. Together, they briefly highlight why fraternities and sororities should be allowed to continue. Pop-up tents may be used as more than just focal points for literature dissemination too. Greek leaders may want to consider using them to draw people into charity events that instantly show how helpful college students can be in a number of arenas (e.g. healthcare research, humanitarian aid and social justice). 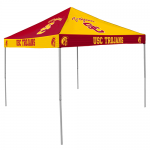 At Canopies and Tarps, our products are ideal for all types of Greek life events. So in temperate climates, they may be used for sorority and fraternity PR campaigns all year round. Many Greek associations love the simplicity and affordable prices associated with our pop-up tent package deals. Others prefer to buy their PR event staples piece meal as fraternity and sorority funds become available. Either way, were happy to help Greek leaders find the pop-up tents they need to put a fresh face on to their organizations. To learn more about our pop-up tent deals for educational groups, please contact us online today. This entry was posted in pop up tents and tagged pop up canopies, pop up tents on August 7, 2015 by CanopiesAnd Tarps.